How to use the best and most powerful features of Sass. 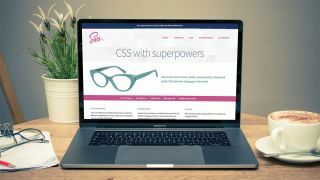 While there are a number of other CSS preprocessors to choose from, Sass has long been the most popular option in the web community (don't know what we're talking about? Read What is Sass? first). It's feature-rich, stable and powerful. What's more, the massive community of users mean support and advice are top-notch. In this article, we offer 10 top tips for getting more from Sass. Which makes handling global values such as colours, fonts and breakpoints infinitely easier. CSS does now have the var() function to be able to create simple variables with -- prepended, but the Sass preprocessor version is much more powerful. Functions and mixins can often be interchangeable and accomplish the same result, but their purposes are slightly different. As with many things in programming, the answer is use logic: mixins are used more for includes, and functions are more for returning values. For example, the breakpoint-var() function we used earlier has a return not seen in mixins. This is brilliant for reducing duplication in your CSS, allowing classes to share a set of properties with one another. The only downside to this we would raise is the drastic increase in the size of your stylesheet if you use it constantly. There's nothing more intimidating or headache-inducing than an overly large stylesheet, particularly if you're scouring through it for a particular part. Thankfully Sass allows you to separate your styles into multiple files, and then use @import to bring then in as and when you need them! The typical naming convention for a partial is prepending an underscore before the file name and then importing it with its name. This gives you complete freedom in architecting the layout of your styles. This article was originally published in creative web design magazine Web Designer. Buy issue 276 or subscribe.